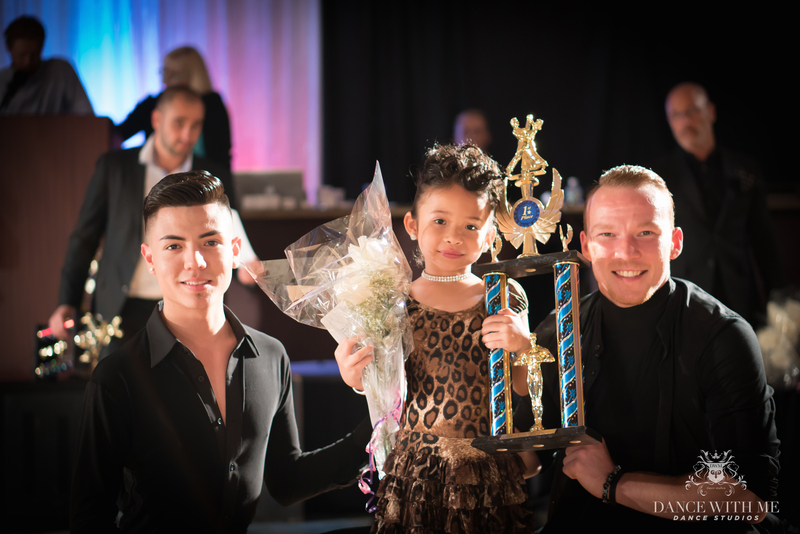 HERE’S WHAT TO EXPECT FROM A DWM BALLROOM DANCE COMPETITION. So, you’ve seen our Summer Invitational highlight reel. Maybe came across a few photos from our Summer Team Match? Looked like a blast right? IN FACT, WATCH JUST HOW MUCH FUN WE HAD AT SUMMER TEAM MATCH RIGHT HERE! But what happens behind the scenes of ballroom dance competition? What are the nitty gritty details you just wouldn’t know unless you were there? 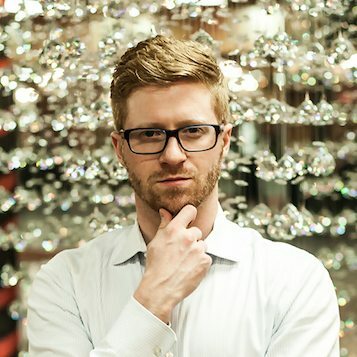 How does it all come together? How many bobby pins are used in that hair-do and how much makeup is too much?! Don’t fret, we’ve got YOUR entire scoop. 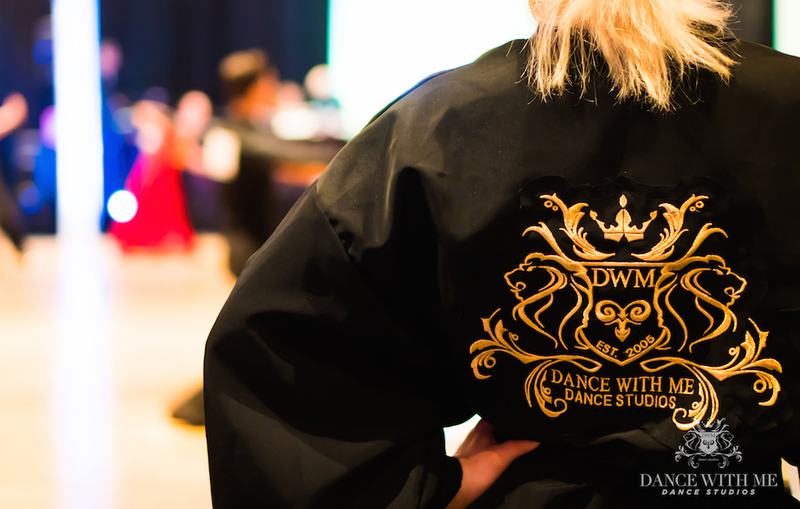 Here at Dance With Me, we host two types of competitions: Team Matches which are single day events that take place in the summer/winter seasons, and Dancesport Competitions like Summer Invitational and Fall Classic that usually span an entire weekend. So much happens before that first pair of heels even hits the dance floor. 5am wake up call any one? Exactly. We’re talking hair, makeup, breakfast, costume fittings, warm ups, and last minute practice. The ballroom is prepped by our hardworking staff. Spotlights are set up to enhance every step. The projector starts rolling. Our Mirrorball trophies are proudly displayed on stands. The step and repeat is installed. Decorations are hung. The competitor station is set up: water, fruit, snacks, first aid kits– the works. Trophies are aligned. Lights. Camera. Action! Those ballroom doors open and it’s time for the magic. Our competitors strut through, mimosa in hand, and some pep in their step. They’re led to a grand ballroom that shines brightly, waiting for all that’s to come. 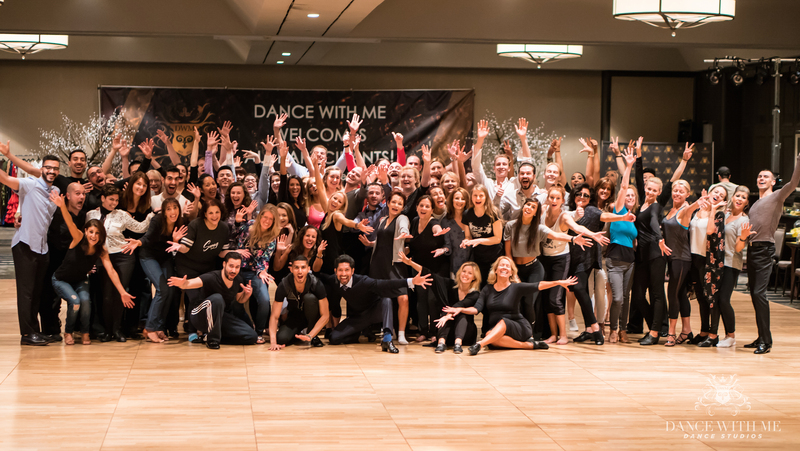 At a Team Match, the first heat signals the start of a dance-intensive one-day event, whereas at our multi-day Dancesport competitions (Fall Class or Summer Invitational) Session 1 Friday Matinee officially launches the beginning of a dance-packed weekend. Our nationally acclaimed adjudicators take their stances along all sides of the ballroom. 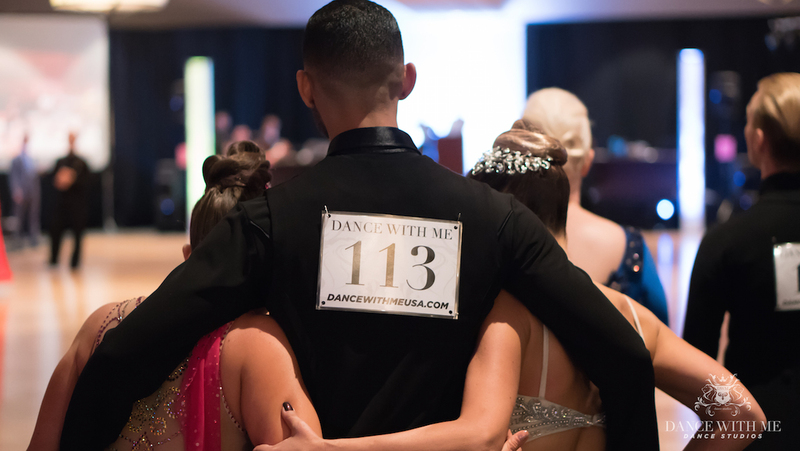 At our team match single dance events, the judges write individual comments for each competitor, which replace the traditional single dance awards. The championship events follow a traditional award presentation with trophies and medals galore! American Smooth Single Dances take over and the competitors transform into the graceful performers they are. Suddenly the dance floor is overflowing with the long linesof the waltz, the fierce and quick moves of the tango, the classic poise of the foxtrot, and the romantic expression of the Viennese Waltz. ROUND AND ROUND OUR COMPETITORS GO. WANNA SEE WHAT WE MEAN? WATCH CHECK OUT THIS 360 VIRTUAL REALITY VIDEO FROM OUR SUMMER TEAM MATCH! Move your phone around, or drag the screen to see everything in the room.If you can’t access the video about open it in Facebook App, Youtube App, or Chrome browser. Throughout the Team Match, each studio competes for the highly anticipated Top Studio Award. This special gem is awarded under several criteria: such as who shows the most enthusiasm, has the highest amount of student participation in dance events, and performs the most entertaining line dance, among others. Line dances take place to close off the show, and feature students and instructors from the studio they’re representing. They usually squeeze a few laughs out of us, and it’s all around a friendly way to compete against one another! Now, bear with us, a Dancesport Competition moves along a littleee differently. The stakes are a little higher, and on the first day the dancing has really just begun. 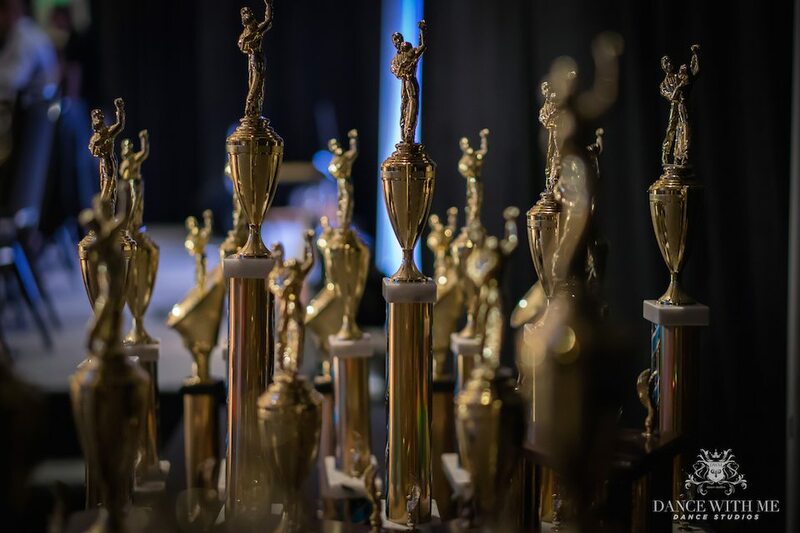 Across the next two days, competitors enter American Smooth Championships, American Rhythm Championships, Scholarship Events and more. 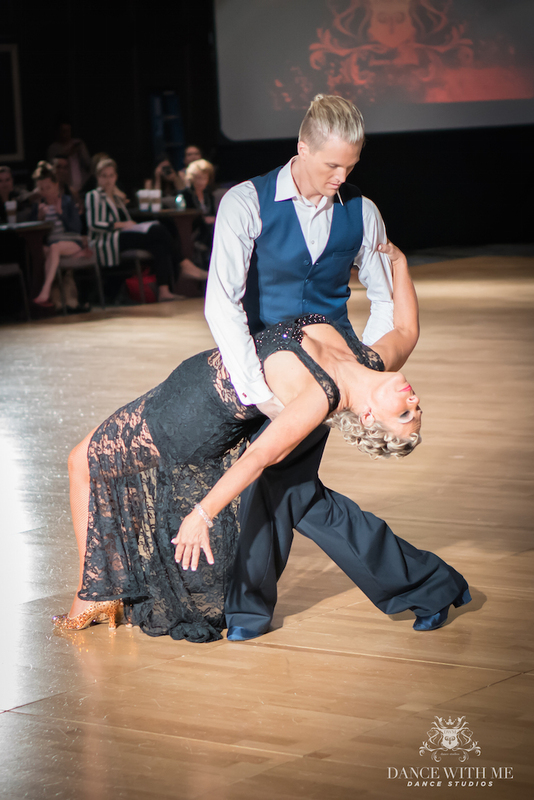 International Standard Events and International Latin Events have the ballroom dance floor bursting with fierce movement and energy. The stakes are a little higher, the event is a couple days longer, but the energy is as high as ever. Sounds like a lot of dancing right? Just wait, there’s more. Special exhibitions are performed by professionals, rising stars, administrative teams, and more. Even solo performances take the spotlight as pros, students, and Dance With Me Juniors show us what they’ve got! All that work ends with some extra fun. After-hours have students and instructors kicking back, having a drink, and letting looseat the Friday after-party and Saturday night gala dinner with a show/live band! As the students leave their competition weekend, holding those medals and trophies, and taking in all that they’ve accomplished, they’re hit with a feeling of pride and achievement that simply can’t be topped. THEY PUSHED THEMSELVES. THEY WORKED HARD. AND THEY’VE REAPED THE REWARDS. Who knows, that might just be you at our next competition. Any questions? Shoot us a comment below! We love to hear from you guys!